Millions of Iranians from all backgrounds have taken to the streets around the country to celebrate the 40th anniversary of the Islamic Revolution at a time of intensified US-led pressures. According to Press TV, today marks the climax of the Ten-Day Dawn commemorating the period between February 1, 1979 when Imam Khomeini (God’s mercy upon him) returned from exile and the end of 2500 years of monarchy. On Monday, demonstrators in many cities braved the cold weather as they descended on main crossroads to renew their allegiance to the country’s Islamic principles at a time of rising economic and political pressure. US National Security Adviser John Bolton had said the outcome of the country’s policy review should be to determine that Iran’s Revolution would not last until its 40th birthday. “And that’s why, before 2019, we here will celebrate in Tehran!” he had told a terrorist MKO convention in Paris in 2017. 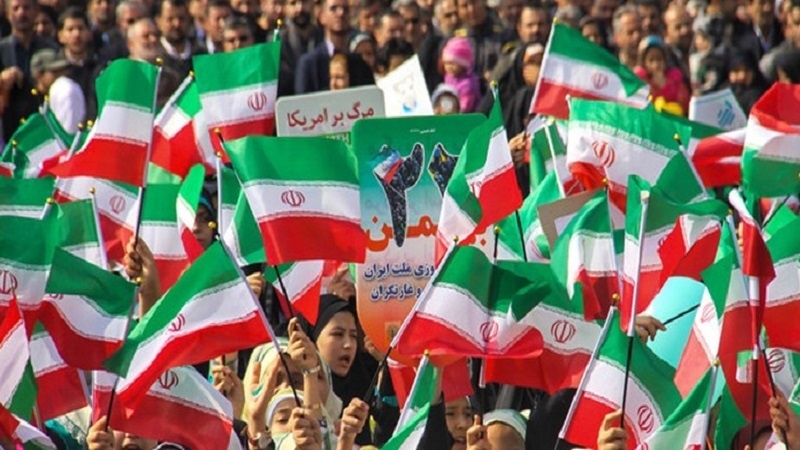 On Monday, hundreds of thousands of people headed to the iconic Azadi (Freedom) Square in Tehran amid chants of “Death to America,” where President Hassan Rouhani was due to deliver a speech to the nation. Leader of the Islamic Revolution Ayatollah Seyyed Ali Khamenei is expected to make a “very important” address in the coming days, media reports said on Sunday. Washington is calling for new negotiations which would include restraining Iran’s missile program and its role in the West Asia as well as the country’s support for anti-Israeli resistance movements, such as Hezbollah. Iranian officials have stressed that the country would not negotiate on its missile capabilities under any circumstances.